Well, I say cheating is the gift man gives himself! We bought said sofa last century, and it has a well-deserved reputation for extreme comfort, if not any particular stylishness. The new light made me realize that it was pretty threadbare and wallowed out. Still comfy though. Kick the slipcovering can down the road. 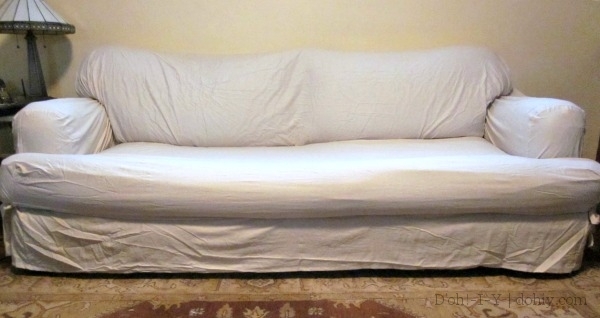 See if we were the type of folks who could gracefully manage white slipcovers. I did later iron it. I DID! Some tips for slipcovers of this type. 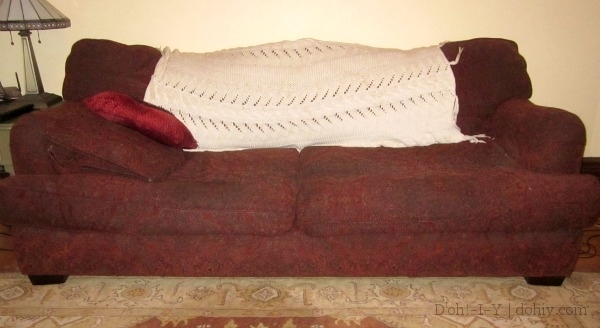 If you have “T” cushions as we do (the front of the seat cushions extend out in front of the arms), make sure to order a slipcover for a “T” cushion couch. The regular slipcover won’t have an allowance for the cushion’s extra bit in the front, and it won’t work. There are instructions and tags included with the cover. These actually help, so don’t discard them out of hand! Centering the tags sewed into the flip side of the cover is really important for getting this to work. TUCK TUCK TUCK. It takes a LOT of tucking. Eventually, it will look relatively neat. Use cheap pipe insulators down the back of the seat cushions to help keep things in place (less than $2). That’s already slipcovered, by the way. It’s taking most of my willpower not to just go buy it and have it delivered! 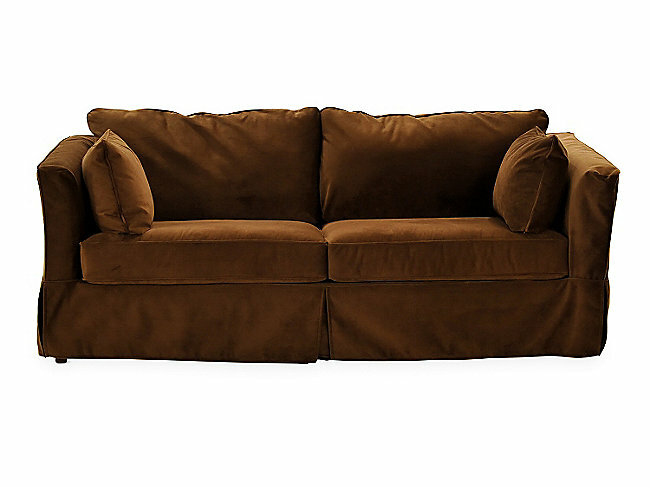 This one is not the peak of chic either, but Chez D’oh, sofas are for cozy lounging. Since my willpower is working (so far), the revised plan is that I’m going to slipcover the sofa over this dark, cold January (this one right now). Actually, we’re first going to flip the sofa over and see if the structure is worth the effort, and if so, I’m going to slipcover it. By the end of January. 2014. Which I’m considering a grace period for 2013 resolutions. This sort of thing is why we have no resolutions for 2014. 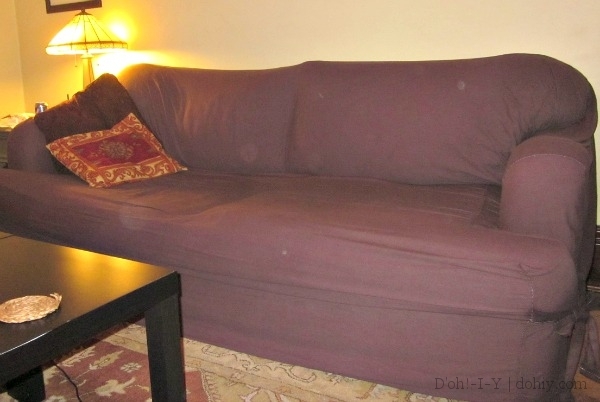 This entry was posted in D'oh!, Decor, Furniture, Repair & Maintenance and tagged dying sure fit slipcover, sofa slipcover, sure fit slipcover, tips for sure fit slipcover. Bookmark the permalink.